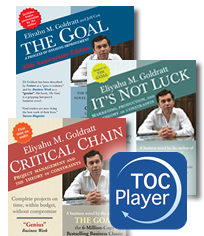 The largest and most comprehensive source of Theory of Constraints (TOC) learning and training VIDEOS. 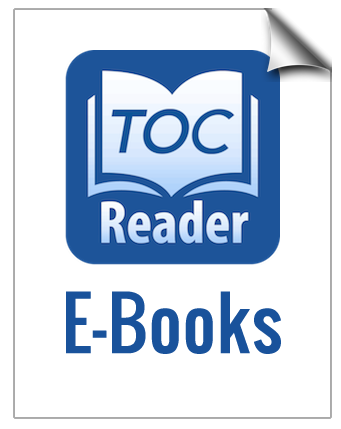 Read from over 100 different TOC eBooks on Windows, Mac and iOS devices, anywhere anytime. Download and then read the eBooks whenever it\'s convenient for you. Listen to Eli Goldratt\'s Bestsellers on TOC Player, anytime you want, everywhere you want. This 8-session educational series is taught by Dr. Eli Goldratt. He shares his life\'s work revealing what to change and what to change to in areas like operations, finance, project management, engineering, distribution logistics, measurements, marketing, sales, management skills, and strategy. Receive a special 10% discount on any purchase of physical products on TOC-Goldratt.com. What videos, E-Books and Audiobooks are included? EVERYTHING! 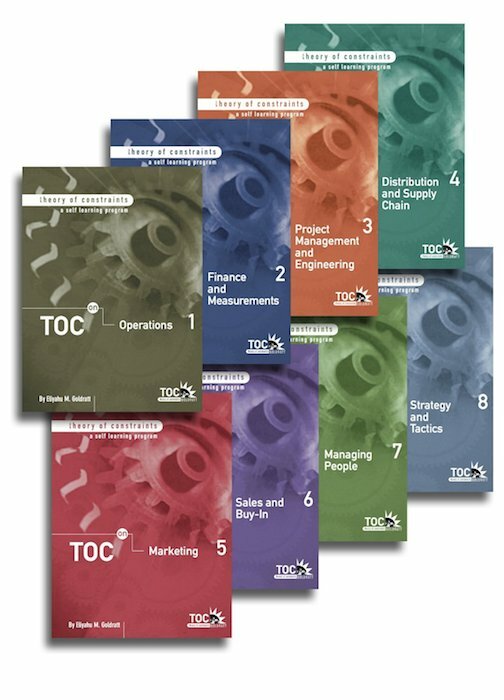 During your membership period, you will be able to view every video available on TOC.tv including all Premium Videos, up to 10 new E-Books for TOC Reader or Audiobooks for TOC Player per month on Windows, Mac and iOS devices, PLUS you will have web & downloadable access to the TOC Insights and the TOC Self Learning Program. What is the biggest advantage of the TOC VIP Membership? It is simple and easy. Your will have access to ALL Videos, ALL E-Books, TOC Insights and TOC SLP, ANYWHERE ANYTIME and with one single annual payment. The access to the electronic learning resources is available during the membership period. You can decide to access them online or download (when available) to your computer and/or device for your personal use and convenience. When can I sign up for this membership and is it renewable? 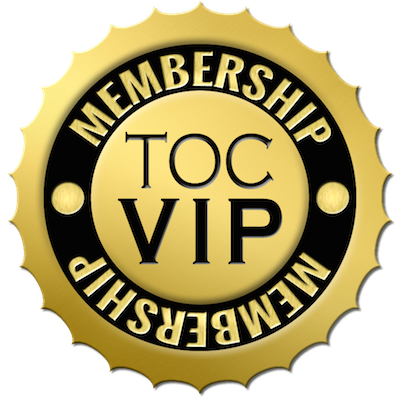 You can sign up for your TOC VIP Membership anytime as long as it is available. Once you have signed up, annual renewal is automatic and maintained. You can cancel renewal of your membership anytime at http://www.toc-goldratt.com/support. Can I upgrade my current TOC.tv Membership to the comprehensive TOC VIP Membership? Yes, you can upgrade your current TOC.tv membership any time. If you recently renewed for your TOC.tv Membership and you would like to upgrade your membership, please contact us. We will review your case and provide you with the best possible option. 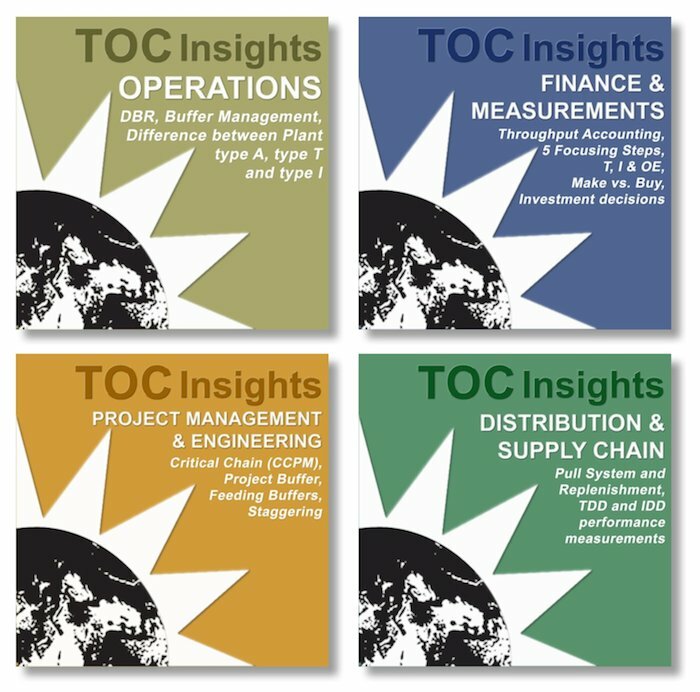 Your TOC VIP Membership provides you with Full Access to ANY video (Online & Download) available on TOC.tv during the subscription period, up to 10 new E-Books or Audiobooks per month, the Downloadable & Web Versions of the TOC Insights and TOC Self Learning Program. 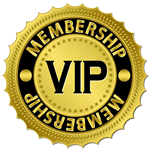 Your TOC VIP Membership starts at the moment the purchase has been successfully processed. The membership purchase is a subscription with automatic renewal. The renewal can be cancelled at anytime. Certain restrictions apply. Special offers & promotional memberships may not be eligible for automatic renewal. Once the membership starts, user may continue being a member for as many CONSECUTIVE periods as needed. Once the membership is cancelled, then the rate for a new membership subscription will be the rate available at that time. A request for cancellation of renewal must be received 5 days before the membership subscription period ends. If a request for cancellation is received after the 5 days, it will be applied to the following period's renewal. Viewing is unlimited within the membership subscription period for ONE concurrent access for the individual purchasing the membership. Access to the different materials is given under each material's Terms and Conditions.